It was the day of the duos in the Den this evening, with entrepreneurs arriving in pairs to pitch their products to the Dragons. However, it was a trio that particularly fetched my attention. I would without doubt describe myself as a dog person. I have friends with cats, hamsters and even snakes but to me, dogs truly are a man’s (and woman’s) best friend. So when Mike and Zena Deane entered the Den tonight along with their miniature Dachshund, Huxley, my heart melted. On top of my love for Huxley, I was really impressed by the Deane’s pitch. Their dedication to ensure our furry friends receive the vitamins and nutrients needed to live a long and healthy life had encouraged them to make some risky decisions. I mean, selling the family home to fund your new business exerts confidence in your product. The product in question of course being the ‘Better Than Raw™’ dog treat. Mike and Zena Deane, with Huxley. It was at this point when we said goodbye to Huxley as he pranced off towards the lift and turned for one last adorable glance at the Dragons, his little snout disappearing behind those huge doors. It was now time to focus! You may have noticed the symbol that follows the Better Than Raw™ name and if so - do I have a fun fact for you? The TM symbol may indeed stand for trade mark, which can be a word, phrase, symbol or design that recognises and differentiates your brand from another’s. However, the TM symbol does not represent a registered trade mark in the UK. Using TM can imply that the owner could take legal action to protect its use, but hasn't actually registered it. If the trade mark is registered, it is usually followed by an ® symbol rather than the TM. A swift search of the IPO trade mark register revealed that Better Than Raw™ is in fact registered in the UK. Therefore, they would legally be able to use the ® symbol. When it comes to business, branding can be everything - basically, your brand is what your audience thinks of when they hear (or see) your brand name. The pair were off to a bounding start when the Den’s longest standing Dragon (Peter Jones) admitted his appreciation for the Better Than Raw™ branding. This achievement was short lived however, as Deborah Meaden soon expressed her disappointment by the lack of information on the packaging. The bad news continued when, from experience, Deborah explained that the pair had chosen a truly tough market to crack and immediately opted out; an action that encouraged Peter to follow suit. 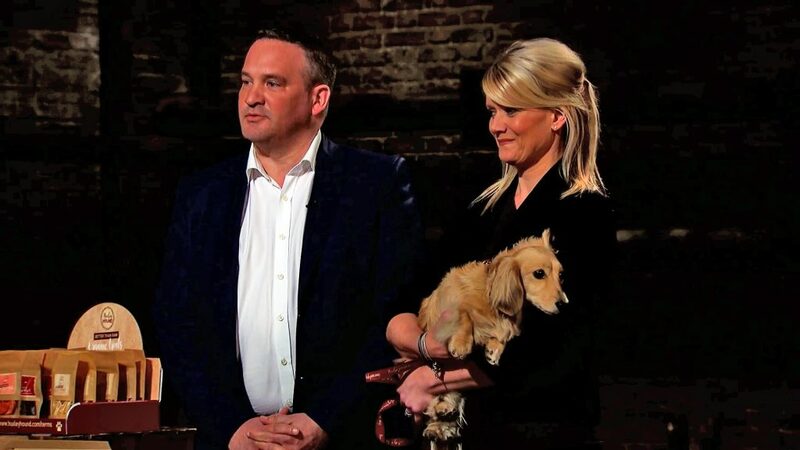 With Touker Suleyman, Deborah and Peter all out, it was down to the two newest Dragons to decide whether they’d like a piece of the pie. And, much to the Deane’s delight, Tej Lalvani was the first to sink his teeth in. His offer of the whole £50,000, but with a whopping 30% of the business, was a much bigger chunk of the company than the pair had hoped to part with! Luckily, Jenny Campbell swooped in soon after also offering the full £50,000, but for just 15% of the business. It was a no brainer for the couple. They accepted Jenny’s generous offer, along with a wag of the hand before leaving the Den and howling with joy. After the shear sacrifice and determination from this incredibly impressive couple, I’m really pleased to see they received the investment they’d hoped for. I will certainly keep my eye out for these doggy delights for my own pooch in the future.